"Many Governments have now adopted an innovation-led growth strategy and are promoting the importance of IP in underpinning their aspirations for economic growth. The race to prove the perfect model for growth persists and there appears to be a growing desire to remove all the obstacles for failure in technology transfer. 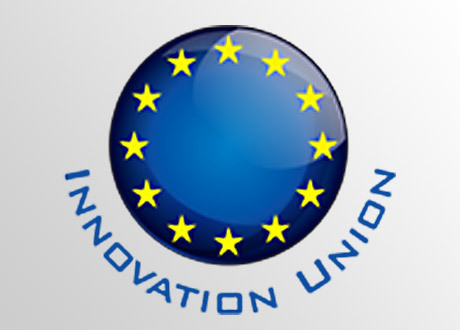 Within the Europe Commission, the Innovation Union strategy seeks to create a true innovation system in Europe where scientific excellence, a broad and strong knowledge base and the ability to bring results to the market and innovate are all included. The Innovation Union includes over 30 action points to ensure that innovative ideas can be turned into products and services that create growth and jobs. This drive for success in taking new ideas to market is leading to much Government debate about the role that IP plays, exactly how valuable a company’s IP is -- and also the different approaches used to place a figure on this value. The mechanisms for unlocking this value, via asset-based lending, litigation or otherwise, are seen to be challenging for those smaller businesses that make up a significant proportion of the growth economy, those very companies that have to convince others that their IP is worthy of finance. There are now three parallel studies ongoing that are seeking to inform policy surrounding these issues (did all the officials attend the same summit?...). One, funded by Scottish Enterprise (noted here), one commissioned by the UKIPO (noted here) and another funded by the European Commission. Each seeks to understand how IP is valued and could be used to secure the investment often required in the early stages of growth. Jackie Maguire of Coller IP in the UK together with Danny Ryan and representatives of 10 other countries (including Germany, Sweden, Poland, Italy, Denmark, Belgium, Spain and Portugal ) are involved in the third study and have been appointed as IP valuation experts. The experts were appointed by the European Commission at the beginning of 2013 to undertake a project during the course of 2013. The work of this Expert Group will help implement the Innovation Union by looking at the very specific issue of the valuation of IP, the various purposes for which it is required and how new tools and mechanisms might open up the trading of IP assets. Some policy officials consider that the accurate valuation of IP remains a major obstacle to the emergence as a tradable asset class and that the introduction of more transparency and standardization in IP valuation procedures may render the trading of IP rights significantly more efficient and profitable. Many of us realise that it is a lot more complicated than that, but we have to start somewhere! IP valuation mechanisms in the context of litigation, accounting and financial transactions are being currently researched and best practice examples are being compiled to show what can be achieved at a national and European level. This includes how IP is valued with respect to awarding damages and how financial institutions are lending against IP assets. The group will report at the end of the year and aims to recommend measures which will be implemented at a European level to unlock IP value. Jackie hopes that with all of the results of all of these studies and calls for information that useful, coherence and consistent policy will be implemented and that the vision that she and Coller IP have always held, for IP to recognised as a tradable asset, will be achieved".